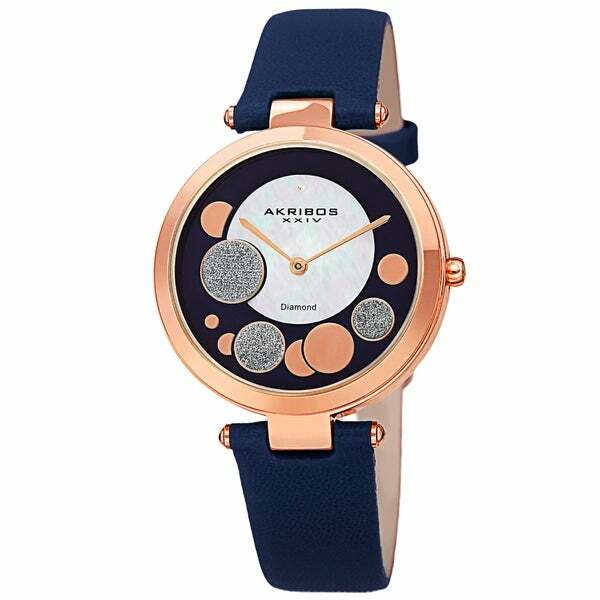 This luxurious women's timepiece from Akribos XXIV features a beautifully polished case with a ring of crystals set into the bezel. The mother-of-pearl sub-dial is accompanied by decorative bubbles, three of which are filled with sparkling crystals. Gift it or wear it to impress!